Global Food Forum: where does the future of the CAP lie? Bucharest – July 8th, 2016. In the wake of the Global Food Forum, which will take place on the 14-15 October 2016, Farm Europe organised, in partnership with the Ministry of Agriculture of Romania, a regional event to take stock of the most pressing concerns in the new Member States when it comes to the Common Agricultural Policy (CAP). Gathering high-level representatives from both political and business background coming from 11 EU Member States, the issue of investments has been at the core of the debate. 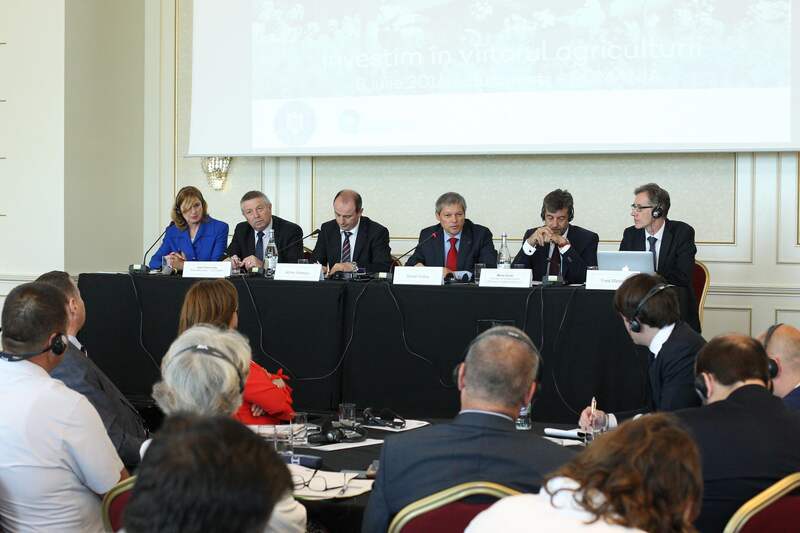 Opening the event, Dacian Cioloş, Prime Minister of Romania underlined: “More than ever it’s the common responsibility of all Europeans to take an active part in the debate to say what they wants from the European Union and from the Common Agricultural Policy in particular. The CAP is one of the most – if not the most – achieved European policy”. “The agri-food community has the responsibility not only to highlight the problems, but also to make informed proposals on what future policy should be”, he also added. “There is not one single Member State in Europe that is not directly interested in the future of the CAP. It’s absolutely necessary to keep common rules while taking the specificity of each of our agricultures” (Full speech available here). Mario Guidi, President of Confagricoltura and of the Global Food Forum noted that: “We need to better explain and modernize the CAP that is uniting the European Union and contributing to growth. It’s urgent to restore confidence in the CAP which is the first and probably the most important investment policy in Europe, with tangible results for EU citizens. Working on a better and more efficient CAP, it’s improving Europe as a whole. The Global Food Forum which will take place in October will provide a unique opportunity to put ideas on the table on how to strengthen the CAP”. 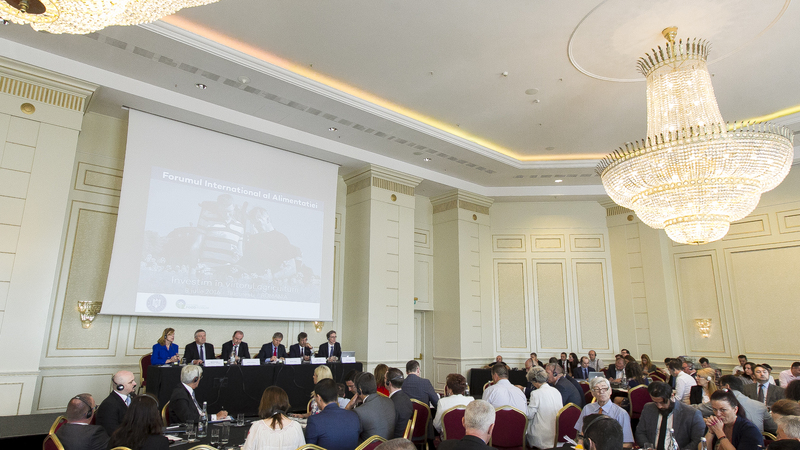 Tackling price volatility to secure investments, enhancing farmers’ organization and securing access to land for local farmers, were the key issues discussed during the debates in Bucharest during 3 workshops on Competitiveness, Resilience and Sustainability (Background paper here). Most participants highlighted that the Common Agricultural Policy is at a crossroads, in the context of the post-Brexit referendum and of the current crisis which affects most – if not all – agricultural sectors across the European Union. Will it goes down the path of a more “à la carte” policy, diverting more and more from a Common policy or will it take up effectively the challenges of investments all across the EU offering real responses to farmers needs and legitimate expectations? The participants unanimously called for European solutions to face European challenges, while asking for a less bureaucratic approach of sustainability, for urgent initiatives to cope with market volatility, raising the necessity for EU farmers to be better insured against climate risks and the possibility to implement cost effective tools in that respect. Furthermore, they stressed the urgency to deliver on market risks with more efficient tools such as insurance, mutual funds or individual savings. They called as well, for strongly, less ideological positions when it comes to environmental measures and trade bilateral talks, towards which Europe must show its capacity to protect its farmers in a much better way.